Vowels don't always go together, but sometimes it's fun to have a friend! 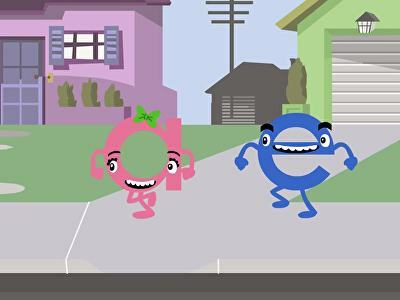 Learn how vowel teams work in this fun song that teaches vowels. Sneaky silent E makes short vowels say their names, changing short vowel CVC words into long vowel words. In this phonics game, kids learn how to sort long and short vowels by identifying this common spelling pattern. practising this essential rule in this fun school-themed game helps children strengthen important reading skills in an engaging way. Leaf or leef? 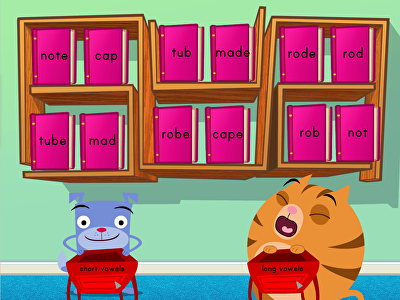 Kids practise spelling common vowel team words in this school-themed game. Not only will children practise distinguishing between real words and nonsense words, but they'll also have a chance to properly learn how to spell different homophones. Perfect for pre-readers and kids looking to advance to the next reading level, this interactive game offers something for everyone. Roly is hungry for vowel pair words. 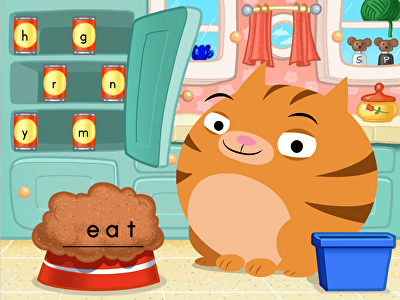 In this fast-paced game, kids must make words with common vowel teams to get Roly the food he needs, but they have to hurry because the clock is ticking! Perfect for spelling simple words and practising homophones, this game is so fun that kids won't even realise how much they're learning. 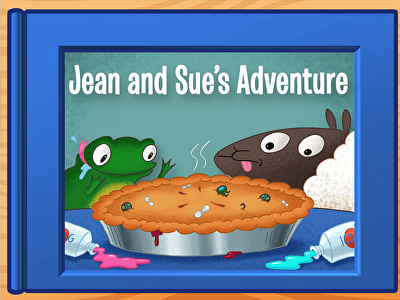 Jean Toad and Sue Sheep are the best of friends, even though they're as different as can be. 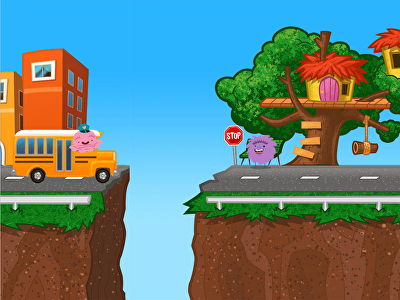 In this sweet story, kids practise identifying common vowel team words in a narrative context. Perfect for spelling practise, reluctant and eager readers alike will love following Jean and Sue on their fun-filled adventure.